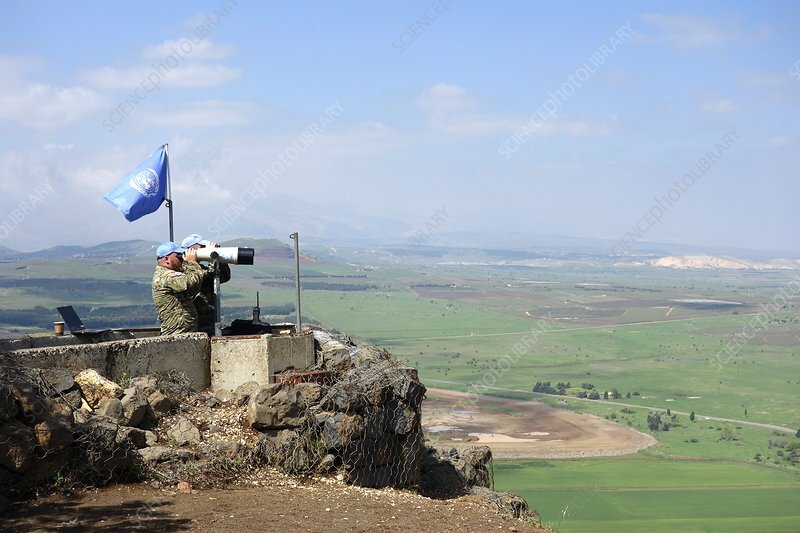 United Nations Disengagement Observer Force (UNDOF) at Mount Bental observation post in the Israeli occupied Golan Heights. Peacekeepers observe conflict in Syrian territory from across the ceasefire line between Israel and Syria. The Golan Heights is territory lying between Syria, Jordan, Israel and Lebanon. The area has been the scene of territory dispute, occupation and armed conflict through the 20th and into the 21st century. Photographed in April 2018.